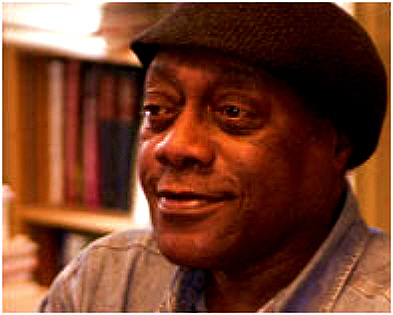 One of the greatest authors of our 21st century times is a man who made history in the previous century when he became the first African-American to win the Pulitzer Prize in fiction: James Alan McPherson, a native of Savannah, Georgia, born September 16, 1943. Unlike many of today’s celebrated public intellectuals, Mr. McPherson tends to play down his celebrity status and opts instead to put the greater part of his energies into teaching and writing. His absence from high-profile media events, however, has not stopped fans and commentators celebrating his life and legacy as represented by such books as Hue and Cry (1968), Elbow Room (1977, for which he won the Pulitzer) and Crabcakes (1998). The Pinterest board titled “Literary Passion and the City of Savannah-Georgia” was constructed both as an acknowledgement of the city’s extraordinary cultural heritage and as a tribute to Mr. McPherson, who as adult has now spent much of his life in Iowa as an esteemed instructor for the famous Iowa Writers’ Workshop. Follow Author-Poet Aberjhani’s board Literary Passion and the City of Savannah-Georgia on Pinterest. Since Robert Frost’s debut of the role of inaugural poet 52 years ago, the list of those who have followed in his footsteps––with two white males, two African-American women, and one openly gay Latino man among them–– comes close to representing the country’s increasingly diverse population. Frost branded his inaugural poem with the same mystically intense passion for the American landscape and character that qualifies many of his other celebrated works. But the poem also serves as a record of the history which poetry itself was making with its inclusion in a definitively political event. Text and meaning in Robert Frost’s Dedication: For John F. Kennedy (part 2 of 2) – National African-American Art | Examiner.com. 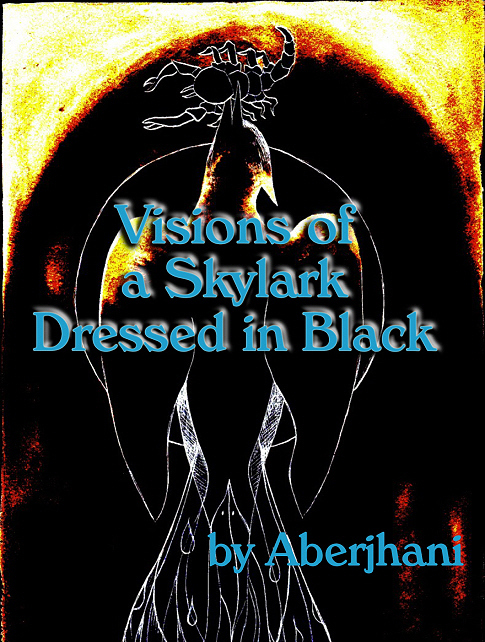 Cover of forthcoming eBook Visions of a Skylark Dressed in Black. The story behind the annual Juneteenth celebration is now fairly well known. The event commemorates June 19, 1865, the day slaves in Galveston, Texas, and other parts of the state learned for the first time they had actually been freed via the Emancipation Proclamation two years earlier. There is not much with which to compare such an event to in the year 2012. But try this: imagine how a group of prisoners might feel if they learned their innocence had been proven years ago and orders for their release signed but left forgotten in someone’s desk drawer. My long-term romance with the idea that literary movements define and bookmark significant heroic moments in cultural history began long before I understood who or what had stolen my heart. Yet it seems to have been there for at least as long as long as earlier adolescent passions for playing football or running foot races. There can be little doubt that it played a major role in my decision to accept the challenge of co-authoring Encyclopedia of the Harlem Renaissance (Facts on File) which documents and celebrates one of the most successful literary movements on record. September 2010 marks the seventh anniversary of the encyclopedia’s publication. The fact that it continues to inform classroom discussions and to encourage further exploration of the 1920s Jazz Age says as much about the life-enhancing inspiration that our hearts and souls draw from literary movements in general, as it does about this one book in particular. It is possible that in my middle-school years-a time when I read more outside classrooms than I did inside classrooms– I came across allusions to America’s great Romantic, Realism, and Naturalism literary movements of the 1800s. I may have also stumbled onto references to the Harlem Renaissance , the Lost Generation, the Beats, and the Black Arts Movement of the next century; or to Europe’s Symbolists, Surrealists, champions of Negritude, and Existentialists. But chances are I did not have half a clue what any of these meant. Some serious time would pass before I started connecting historical dots and pieced together the relevance of David Thoreau publishing Walden: or Life in the Woods (1854) only a year before Walt Whitman made his start on the journey that would become Leaves of Grass, and about nine years after Edgar Allen Poe became a literary immortal with The Raven and Other Poems (1845). Patterns began to emerge as I noted Emily Dickinson quietly (and a little madly perhaps) scribbling soul-exploding poem after soul-exploding poem at the same time that Mark Twain’s deepening appreciation for Southern culture inspired him to produce a string of classic works-The Adventures of Tom Sawyer (1876) and Huckleberry Finn (1884) being only two of his better known novels. The bigger picture became even more focused with the arrival of the beehive of writers, artists, and musicians who generated, sustained, and immortalized the Harlem Renaissance. There were writers like Jean Toomer, Claude McKay, and Jesse Redmond Faucet spinning out novels and poetry at the same time that editors such as Marcus Garvey, W.E.B. Du Bois , and Charles S. Johnson debated the merits of their work and sponsored regular cash prizes to keep the honey of their endeavors flowing. The activities of the Harlem Renaissance spilled over into the 1960s and 1970s Black Arts Movement in a more enhanced form. Where their forebears had left off, a new generation of wordsmiths that included Amiri Baraka, Ishmael Reed, Sonia Sanchez, Nikki Giovanni, and Haki Madhubuti stepped in and forged ahead. The new film Howl, featuring James Franco as Allen Ginsberg, provides some insight into how the Beat movement formed, picked up steam, and evolved to become the definitive voice of a generation. In a similar and yet very different mode, in the book Gabriel Garcia Marquez, author Ilan Stavans sheds a brilliant light on the fairly modern Latino movement known as El Boom. In addition to the Nobel Prize-winning Garcia Marquez, El Boom also gave the world the towering figures of authors Mario Vargas Llosa, Julio Cortazar, Carlos Fuentes, and Isabel Allende. Similar scenarios have unfolded at different points in literary history on continents across the globe and within different cultural settings. If these movements were about nothing more than the origins of certain books, they would still be exciting but lack a meaningful depth of emotion, or engaging dramas of ideology that sometimes ended in cultural feuds and sometimes resulted in love affairs. In short, they demonstrate possibilities for different ways of being within polarized societies of people convinced they must live must each moment of their lives according to someone else’s interpretation of it. Or: according to a script which they were trained to recite from birth without reflections or questions on how effectively it served their lives, or how effectively their lives served it.